Roughly 9,800 roadblocks were held by the Georgia State Patrol last year. They held nearly 26 a day and invested about 37,000 man-hours into these checkpoints, according to Times Free Press. These roadblocks targeted intoxicated drivers and aimed to reduce the number of fatal drunk driving car accidents in Georgia. State police and local law enforcement agencies also pitched in on the enforcement efforts. Altogether, Georgia law enforcement agencies reported conducting more than 80,000 roadblocks over the last four years. Law enforcement officers believe that these roadblocks are a main contributor to the state's successful highway safety program. The success is evident in the decreasing number traffic fatalities, dropping from 1,729 roadway deaths in 2005 to 1,284 in 2009. 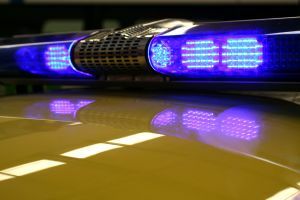 Our Georgia car accident attorneys understand that increased law enforcement efforts can have a direct effect on drivers' behaviors. Drivers are more likely to focus on their own habits if they know they're being watched by others. We're asking that all drivers take responsibility for their own habits and always practice safe and cautious driving skills. So many roadway accidents can be avoided if drivers choose to make better decisions behind the wheel. "What we've found is that checkpoints are an effective tool to raise public awareness, to deter impaired drivers," said Spencer Moore, deputy director for the Georgia Governor's Office of Highway Safety. "With these checkpoints, we believe the numbers will continue to go in the right direction. Because, for our office, one fatality is one too many." The executive director of the National Motorists Association, Gary Biller, says this isn't all good news. He says that police roadblocks do nothing to lessen the number of roadways fatalities. Recent research illustrates that most arrests made for driving under the influence are made by patrolling officers and not by roadblocks. "Even from a common-sense standpoint, it is a very high number," said Biller, whose organization says that most roadblocks violate the Constitution's Fourth Amendment governing unlawful search and seizure. "With that many roadblocks, law enforcement is casting a very wide net. They are generating a reason to find probable cause." Those who support the roadblocks point to the drop in traffic deaths over the last decade to justify them. But statistics do not show a clear correlation between the two. "These checkpoints are being held all over the state," Moore said. "It is very effective in deterring other types of crime as well; it is very good for overall public safety." In 2009, Georgia has approximately 13 vehicular accident deaths per 100,000 residents. About 26 percent of these deaths have been linked to intoxicated drivers. In Georgia, roadblocks do not have to be publicized beforehand, but the roadblock must be approved by a supervisor in the agency involved. Law enforcement officials in Georgia proudly report that their roadblocks are held under federal and state guidelines for traffic safety. "It's about frequency and visibility," said Russ Rader, with the Insurance Institute for Highway Safety, a nonprofit organization that promotes highway safety. "Research shows sobriety checkpoints are very effective as a deterrent to drinking and driving. The key thing about checkpoints is that they create an atmosphere where people are aware of the dangers." -Stay away from the vehicle. You don't want to endanger yourself or any other motorists. -Try to get the vehicle's make, model and color. If you can, get a description of the driver and the license plate number. -Pull over and call police. Report the information you've already obtained along with the location of the vehicle and the direction it is heading. -Let officers take it from there. Do not get more involved as it could compromise your safety. If you or a loved one has been injured in a car accident with a drunk driver, contact the Atlanta Personal Injury Attorneys at The Law Office of Casey W. Stevens. Call 877-217-7230 for a free case evaluation.